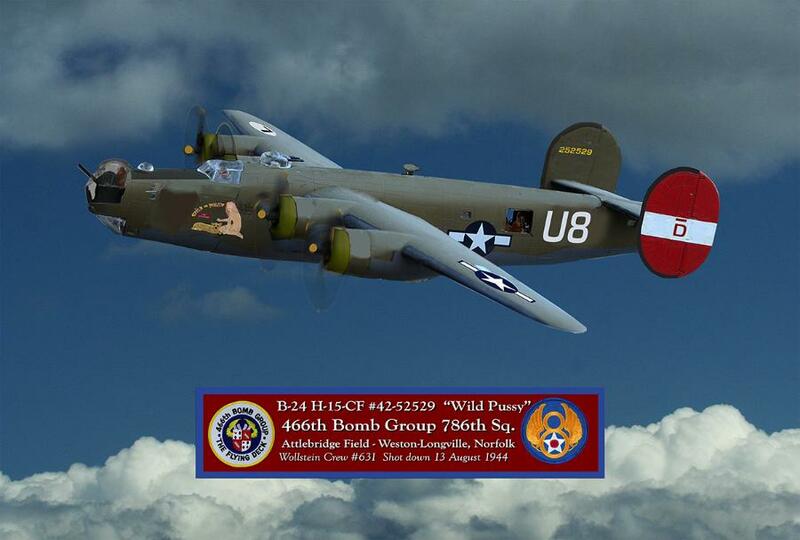 466th Bomb Group "The Falcon"
What are B-24 prints doing on a Video Production Website? 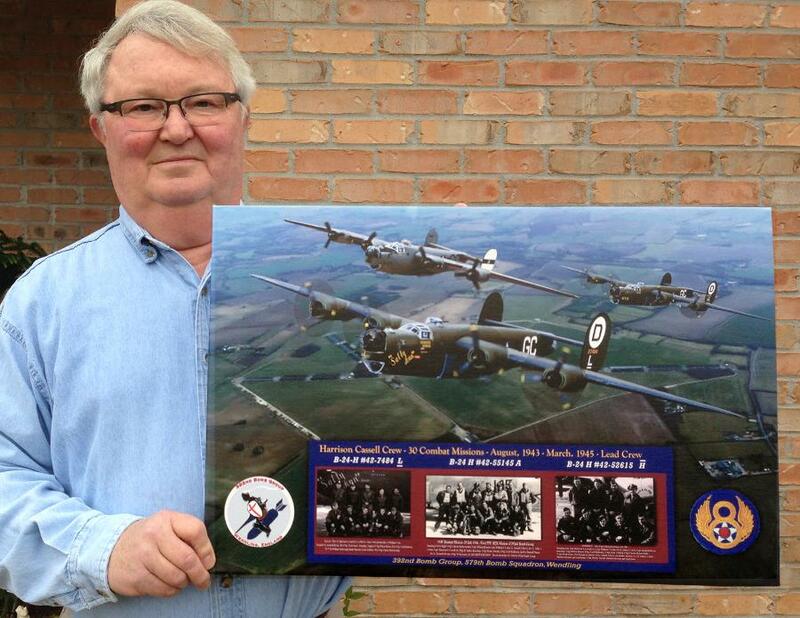 My interest in B-24's comes from my association with the 8th Air Force Historical Society reunions. My father-in-law, Bill Horney, invited my wife and I to the 2000 reunion in Salt Lake City, and we were hooked. I try to videotape every annual reunion and offer DVD copies who those who might miss the event. 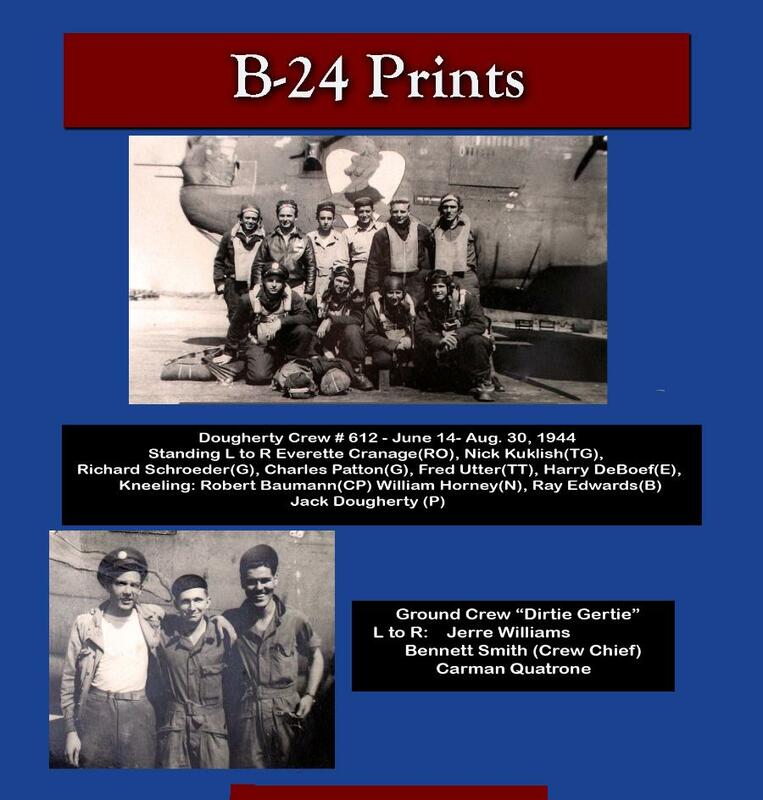 One of the 466th Bomb Group members noticed some large prints of B-17's displayed at the reunion and said said to me "I wish we had a large print of a B-24 from the 466th. That is when I decided to try to get us one. 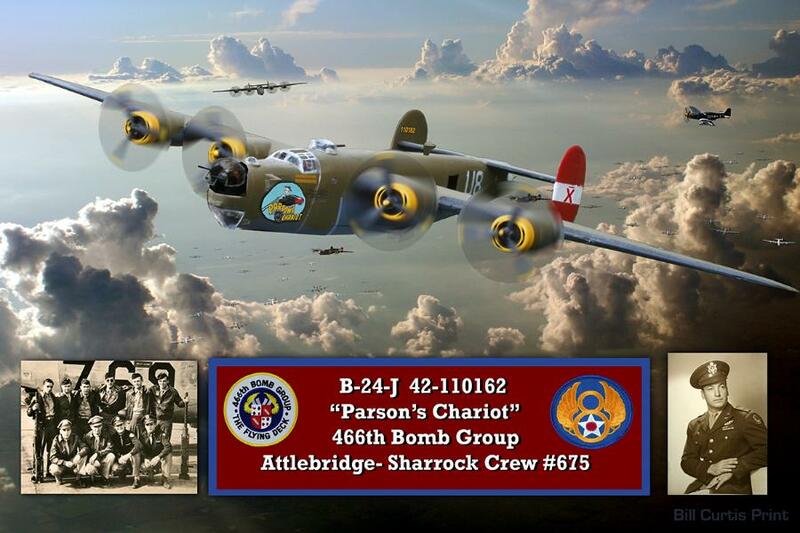 My father-in-law, Bill Horney was a navigator on the B-24 "Dirtie Gertie" with the 466th Bomb Group. 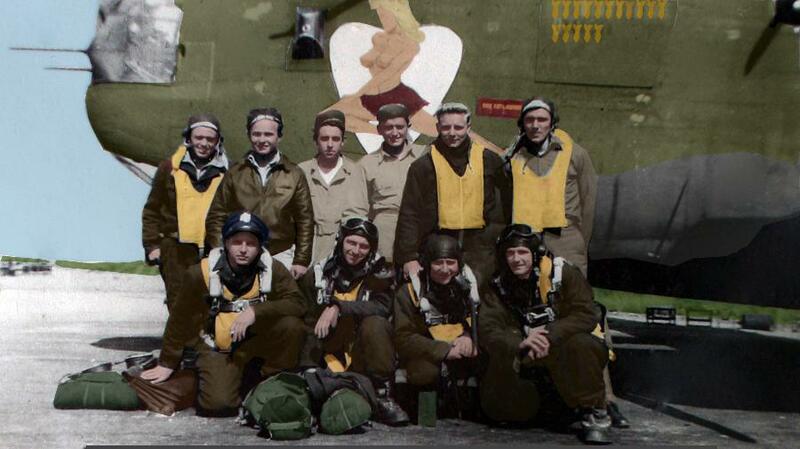 (See Crew Photo Below) From the black and white photo of t"Dirty Gertie's" nose art I created a color picture of the airplane in flight.. One "Girtie" groundcrew member, Jerre Williams advised on colors. 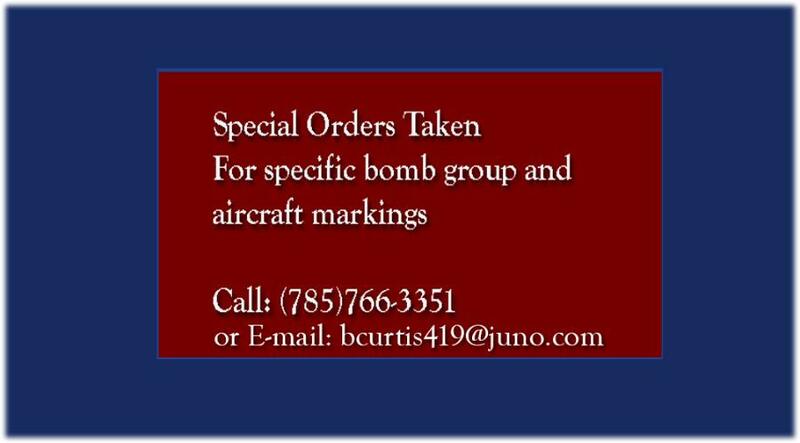 Other planes on this site were also created from photos of nose art from the 466th Bomb Group, mainly from the great 466th Bomb Group pilots we've gotten to know through the reunions: Richard Bayne's "Gallopin Ghost", Elmo Maiden's "This Above All", Malcom Dike's "Snafu Snark" and Earl Wassom's "Jamiaca? "and "Bottlebutt's Buggy". 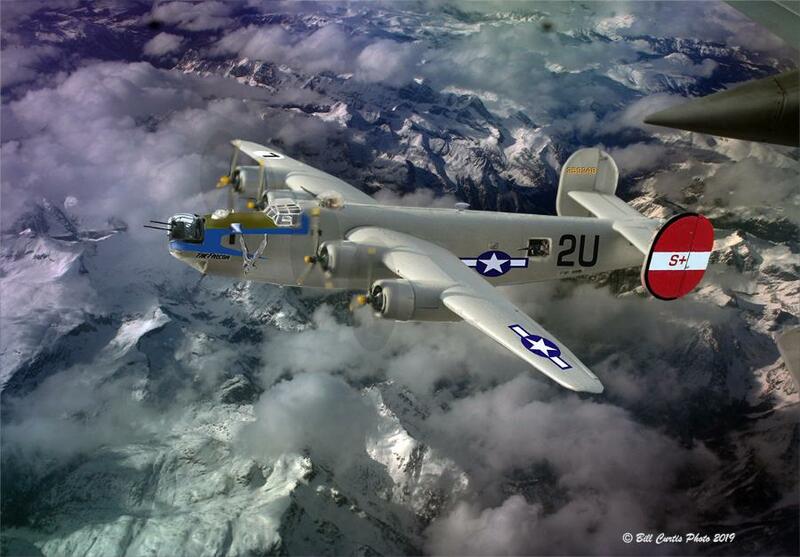 The men who flew in these bomber and fighter groups, and lived to come home will never claim their status as "heroes"; they leave that term only to those who did not survive the war. But it has been the survivors that have carried the horrible memories of war each day of their lives, and they've all lived with the question "why did I survive when so many didn't?" The survivors truly are and were heroes and their contributions to each of us who call ourselves Americans, should never be minimized or forgotten. 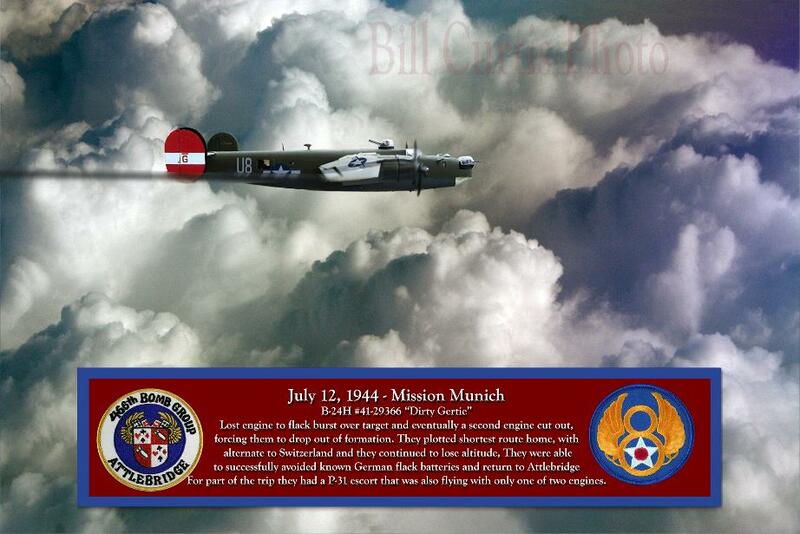 This is a 16x24 CANVAS Print completed for the son of a lead crew pilot with the 392nd Bomb Group. these missions. 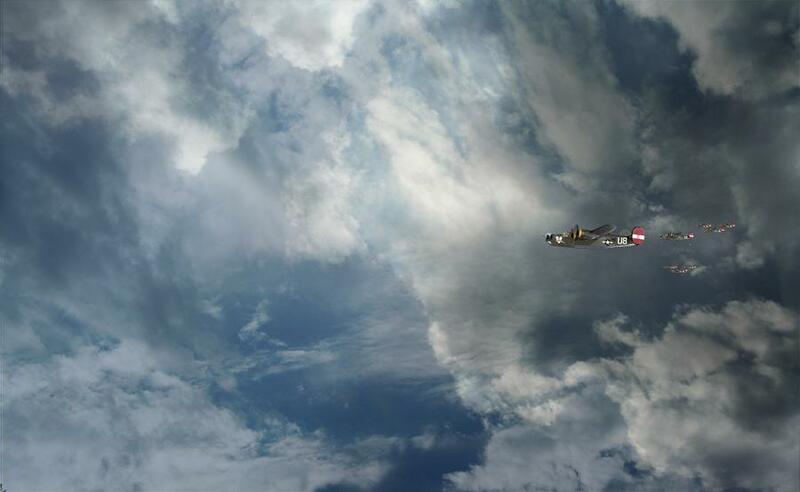 The background is a modern photo of the Wendling Airfield today. 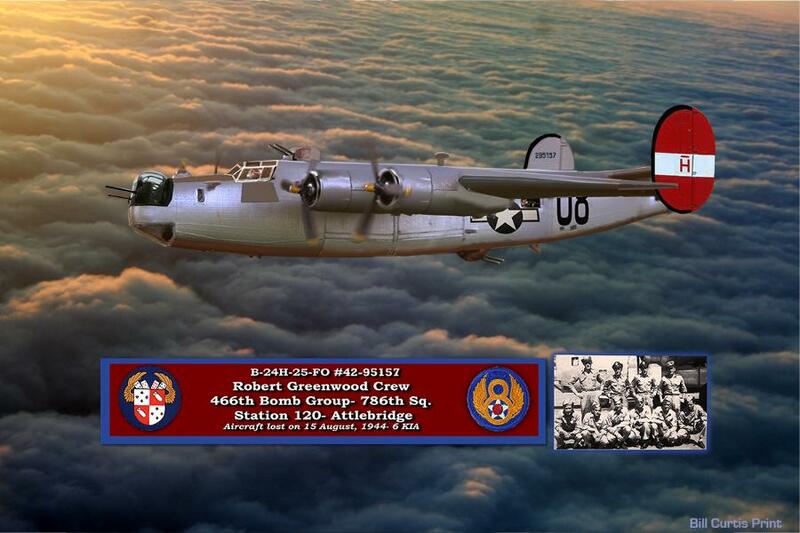 466th Bomb Group Dougherty Crew #612 786th Bomb Squadron- flew 32 combat missions- Aircraft B-24 H "Dirty Gertie"